The babocush comes complete with fleece outer cover, mattress protector and soother with 3 x speed vibration and heartbeat sound options. Rocker not included. The babocush comes with shaped foam mattress, outer fleece cover with harness, quilted mattress protector and 3 x speed vibration with heartbeat sounds (rocker and batteries must be purchased separately). The babocush comes complete with fleece outer cover, mattress protector and soother with 3 x speed vibration and heartbeat sound options. 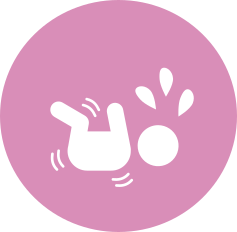 Use on a non-slip floor surface until your baby is 6 months old or attach to your rocker or bouncer chair ONLY until your baby is 3 months old. Adjustable harness accommodates all shapes and sizes of baby up to 6 months. Outer fleece cover with harness is machine washable at 30°. Mattress protector is machine washable at 30°. Foam mattress may be wiped clean with a damp cloth. Vibrating / heartbeat soother may be wiped clean with a damp cloth. Rocker not included must be purchased separately. Here’s one we like. Vibration with heartbeat device requires 2 x 1.5v ‘C’ batteries (not included). A FRIENDLY REMINDER BEFORE YOU BUY. 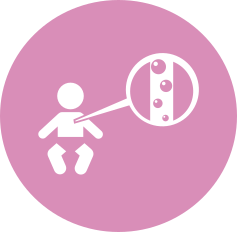 The babocush is a shaped mattress, mattress protector, soft outer cover with five point harness, vibration with heartbeat device and two straps to ATTACH TO YOUR OWN BOUNCER OR ROCKER, so you don’t need to buy another. The babocush can also be used on its own without a rocker. If you are ordering outside of South Africa. your order may incur a customs charge when it reaches your country. This is something outside of our control. We love to support the mothers of the world in the incredibly hard job of raising children, so that they may come out the other end knowing that they did the very best they could do. Our CEO and FOUNDER Kerry Nevins, a mother of two and mentor to many, had a vision to create a new kind of company that would offer today’s busy mother a very real solution to meeting the physical needs of a newborn as well as the emotional needs of the family. As a mother and childminder, Kerry wanted to use her savvy to help solve the modern mum’s dilemma: how to keep your newborn settled and happy, whilst still making time for your toddler, husband and housework. Never one to go with the status quo, Kerry felt that the typical baby chairs and comfort cushions just didn’t deliver. She needed something where her baby could lie on his belly comfortably and safely, in the same position offered by her shoulder. Something that didn’t cause her baby to scream with pain when set down. Something that simulated the vibration of her voice and the beat of her heart. But it just didn’t exist! Kerry’s vision called for an entirely new concept that could guarantee safety and comfort for baby, and time and peace for mums. With an irresistible product and exceedingly personal service, a proven formula for contented babies and well rested mums was born. The babocush helps prevent colic by holding your baby securely just like you do and has the extra comfort of a gentle vibration and heartbeat sound. 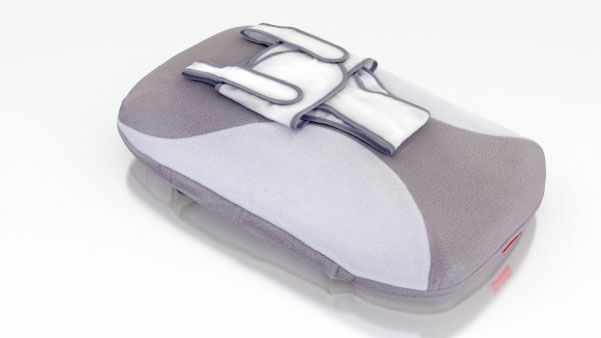 You can adjust the incline of the babocush, ensuring your baby is the correct position to prevent acid reflux. You can pop your baby on the babocush immediately after a feed for instant relief from wind / gas pains. 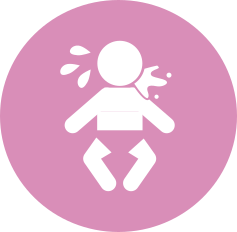 With the body, hands, feet, side of face and head in contact with the babocush, your baby will not experience startling. 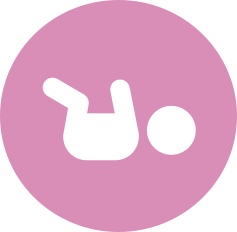 The babocush holds your baby in a very natural position, allowing the airways to relax and stay open as opposed to sitting slumped over in a bouncer, rocker or car seat. The babocush provides essential recommended tummy time. Newborn babies skulls are so soft that flattening of the head will occur if not enough tummy time is provided. *Shipping Costs to be added to all deliveries outside of Cape Town and Durban. Requests will be processed within 3 working days and handed over to a courier company for delivery. 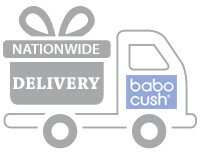 Babocush always ensures that we supply all goods that need to be delivered in good order. Our delivery network is spread across South Africa they will ensure that your delivery is transported with car and that your goods arrive to your chosen delivery address in good order. If your are outside of South Africa and would like to order Babocush then please contact us for more information. Sophie loves the babocush, it saves me so much time not having to wind her constantly! Don’t know how we’d manage without it. As a retired nurse, I think you have created something amazing. It’s perfect for babies with colic or just fretful generally. Mothers are going to love these! Simply send us an email or fill out the form below and we will endeavour to respond within 24 hours.